MINNEAPOLIS, Minn. (June 13, 2018) – Indian Motorcycle Racing today announced Cycle World’s “Man in a Van with a Plan,” Hayden Gillim, will race in four American Flat Track Twins events this season. 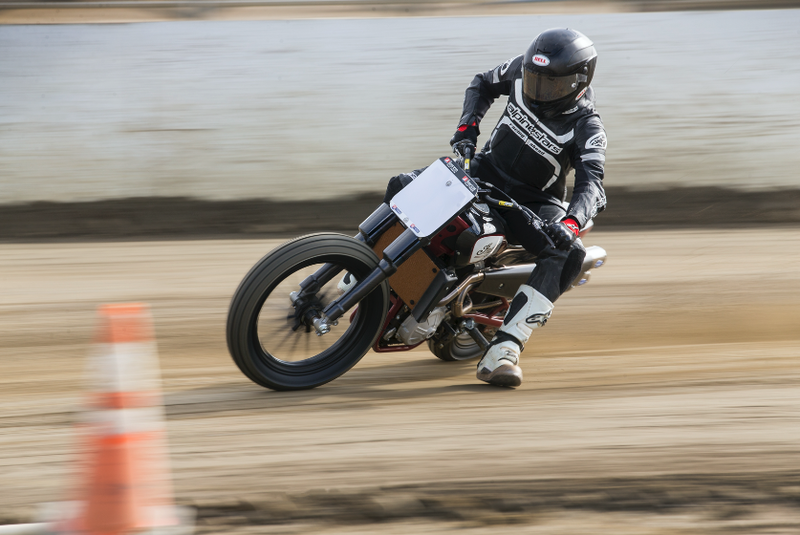 Aboard the Indian Scout FTR750, Gillim will race at the Buffalo Chip TT (Aug. 5), Black Hills Half-Mile (Aug. 7), Peoria TT (Aug. 18) and Springfield Mile (Sept. 2). Gillim, the 2014 AMA Supersport Champion who dominated TT formats in AFT Singles in 2017, joins a bevy of privateers now running the championship-winning Scout FTR750. Gillim’s diverse experience across road and dirt racing have made him a force to be reckoned with in TT racing formats, with Singles class wins at Springfield TT and Buffalo Chip TT in 2017. For this reason, Cycle World will have Gillim competing in this season’s remaining TT races. Expectations are high for Gillim to provide a viable challenge to the series’ preeminent TT riders, including Indian Wrecking Crew rider and 2017 reigning champion Jared Mees, along with 2017 Buffalo Chip TT Twins class winner Briar Bauman, and Henry Wiles, who is currently tied with the most consecutive wins all-time at Peoria with 13 in a row. Cycle World’s “Man in a Van with a Plan” series originated two years ago with the goal of connecting motorcycle enthusiasts with Gillim, an up-and-coming racer on his journey racing the MotoAmerica series while traveling from race to race in his van. The cousin of Nicky and Roger Lee Hayden, Gillim grew up in Owensboro, Kentucky, racing flat track from age three. Gillim, 23, has won dozens of flat tracks and roadracing championships and was selected in 2009 to race the MotoGP Red Bull Rookies Cup Series in the U.S. and Europe. Gillim also currently competes in the MotoAmerica National Championships.